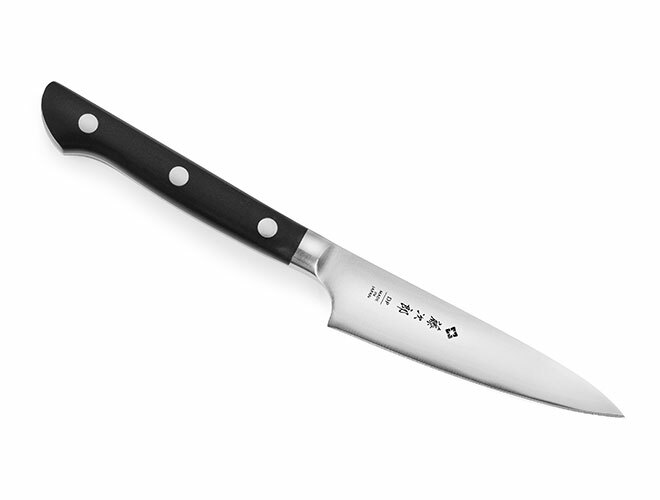 The Tojiro DP Paring Knife is designed for peeling, coring, trimming, decorating, and other detailed work. 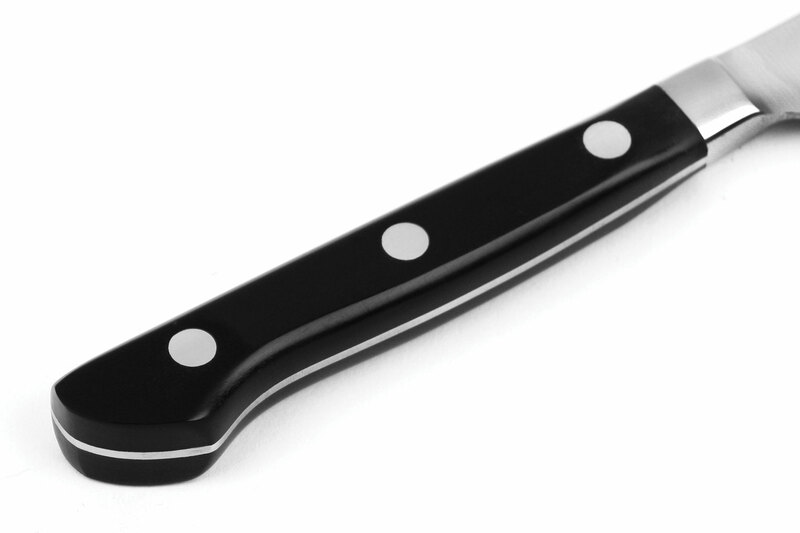 Also can be used for chopping small foods, such as garlic cloves or ginger. 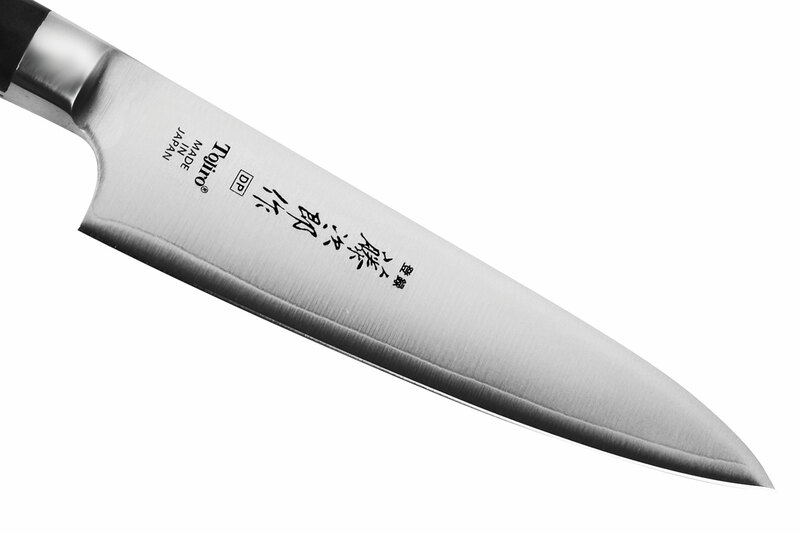 The Tojiro DP series features full-tang and 3-ply clad construction with a core of VG-10 super steel encased by two layers of highly rigid and rust resistant stainless steel. 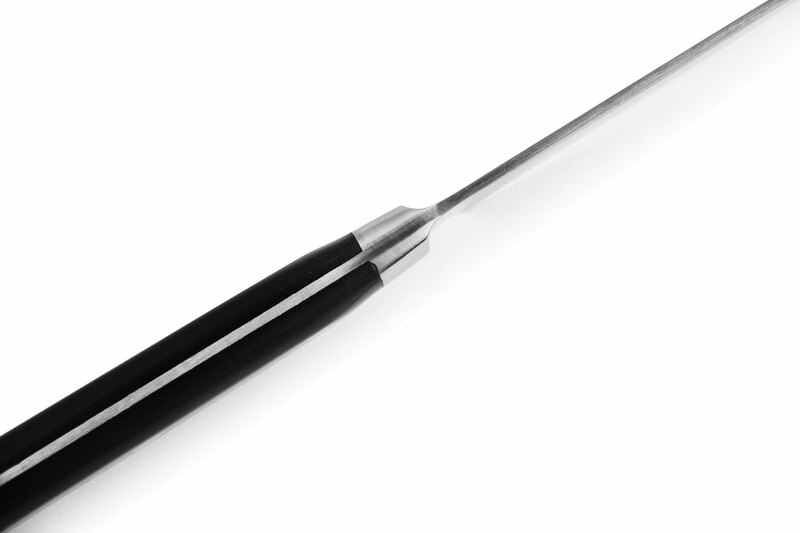 This formula of steel results in a 60 Rockwell Hardness, and provides a 9 to 12° blade angle for scalpel-like sharpness. 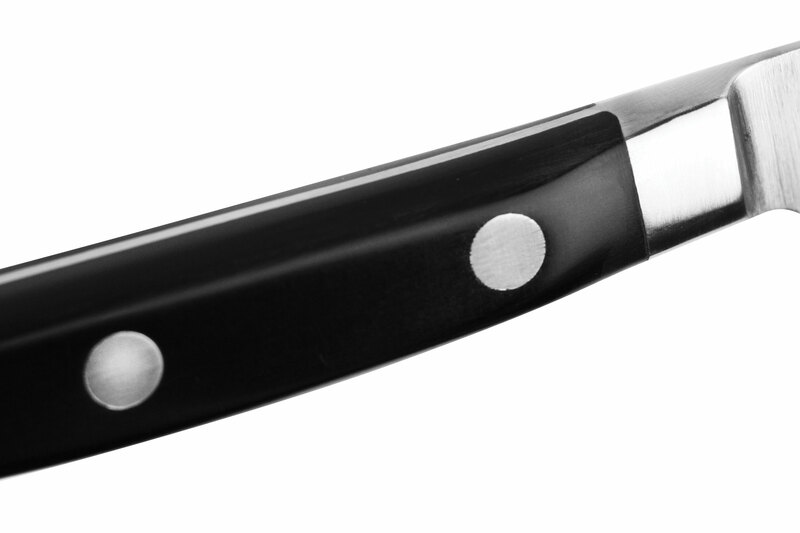 The triple riveted traditional style Micarta handle with bolster contains heft and balance and the closed bolster collar allows for full and complete sharpening of the blade. 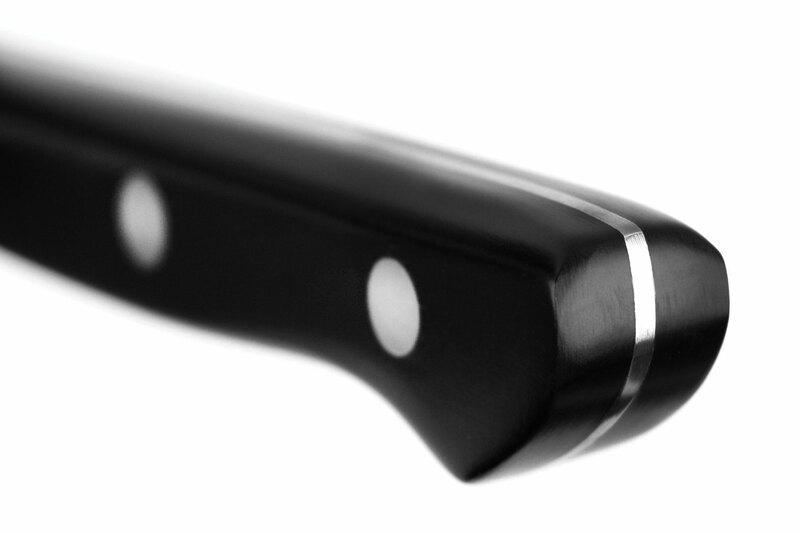 Every knife is meticulously hand finished by artisan craftsmen. 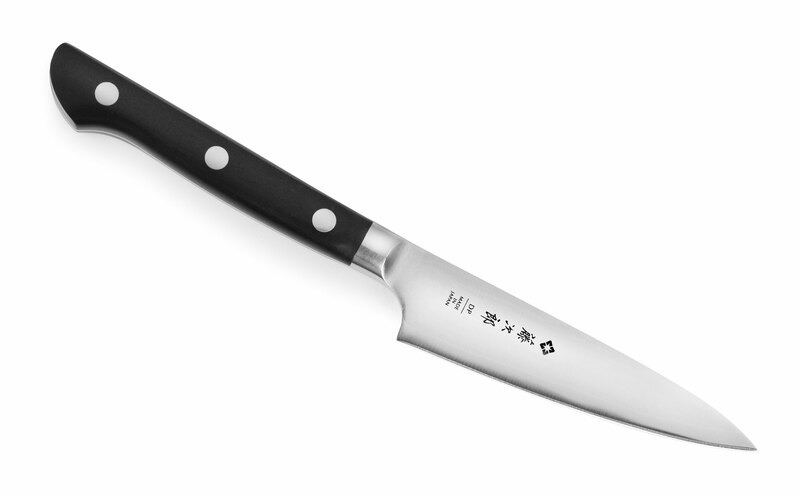 Made in Japan with a lifetime warranty. Made in Japan. Lifetime Warranty.